He'll never get us if we're each alone and defenseless! Being chased by a legendary serial killer is already pretty scary, but doing so in a pitch black unfinished forest while your creators share your demise with the masses? That's some next-level terror, and it's all courtesy of Gun Media, developers of the recently Kickstarter-funded Friday the 13th. In celebration of the aforementioned funding, the Lexington-based devs released a brief glimpse of their game at an extremely early stage. Be forewarned: it's short, it's kinda poorly lit, and not much happens, but it's certainly worth checking out, if for nothing else but a hint of what the game's backers have gotten themselves into. Gun Media, whose prior work consists of Breach and Clear and its follow-up, Deadline, is presumably hard at work bringing one of pop culture's most notorious killers to life. 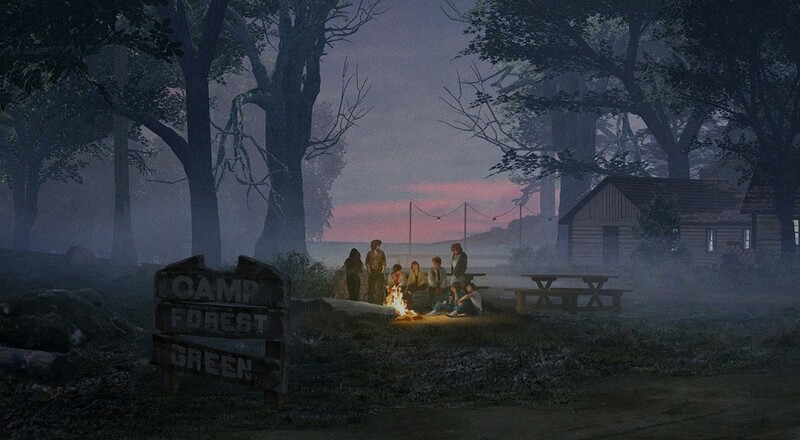 The game's co-op mode, in which players assume the roles of hapless, largely clotheless camp counselers, should serve to fill in a co-op horror niche that hasn't seen much action in recent years. Here's hoping that we're all talking about that time we all teamed up to somehow beat Jason-effing-Voorhees this time next year. Page created in 0.4058 seconds.